Has there been any word if SRM are closing down? Christina Neilsen and Yelmer Buurman confirmed alongside Mark Griffith in an AMG. Only two weeks away now, and the Entry list has been released. Only 41 cars in total (down from 53 last year) but a great GT3 field, with 10 manufacturers involved, six Mercedes-AMG GT3s, five Audi R8 LMS, four Porsche 911 GT3 Rs, and a smattering of Aston Martins, Bentleys, BMWs, Ferraris, Nissans, Lamborghinis and a single McLaren 650S GT3.. I guess the joint largesse of Mr Russell and Mr Lago shall appear on that Audi. Be good to see what Todd can do, and good on him for going out there and getting extra miles. Doing all the right things. Only notable absence this year is a Mclaren Pro entry, but understandable as their new car isnt eligble and they dont likely want to promote the old model. Smaller entry is a good thing. Expect less safety cars. 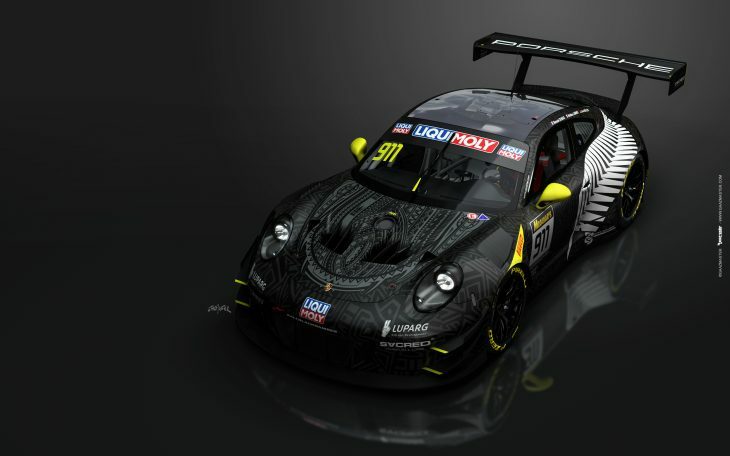 Earl Bamber Motorsport Porsche livery. Smaller entry, less factory entries and missing some big name drivers. A solid and interesting event to come in February however this isn’t the 2017/18 events. This isn’t progress as promised by the new promoter. The steps to reduce and make the class cars less relevant is also a step back for the event. Last edited by D.R.T. ; 19 Jan 2019 at 22:55. Same amount of classes as last year. However, I'd have thought adding a TCR class might've generated a few more entries from both here and abroad. Good idea regarding TCR. The California 8hrs at Laguna Seca which is part of the IGTC has that class.